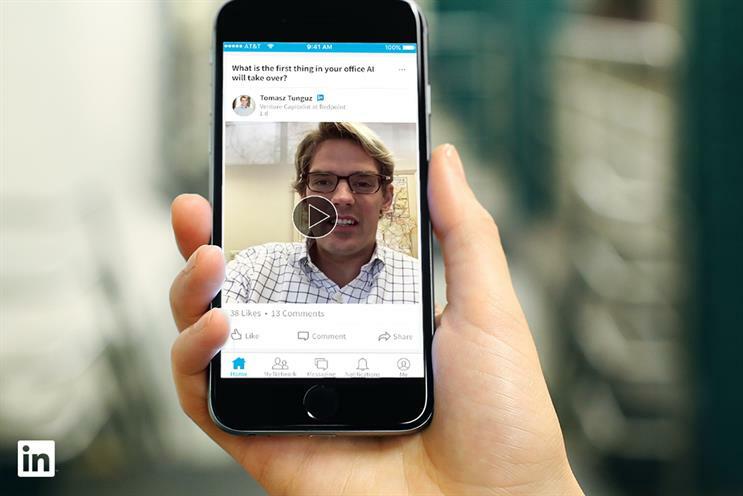 Less than two months after finally introducing native video, LinkedIn has introduced native video ads. Still in closed beta phase, the new offering will live directly on a feed as a standalone post (as opposed to pre- or post-roll ads). The video ads will look like any other piece of content on LinkedIn's feed but will be marked as "Promoted". For now, video ads will only be served on mobile but will be pushed out to desktop in the "near future". "Since we launched native video back in the summer, the majority of my conversations with brands and agencies have begun with them asking when we would release native video ads," Tom Pepper, director and head of LinkedIn Marketing Solutions UK said. "We are all therefore very excited to be trialling video ads on LinkedIn, giving advertisers the opportunity to reach an engaged professional audience." When this offering is fully rolled out, advertisers will be able to post video through LinkedIn Campaign Manager, their company page or their showcase page. They can then promote that video content as part of a sponsored content campaign and target audiences, with the same targeting options as other LinkedIn ad products. This includes targeting based on company size, geography, job title, as well as using the matched audiences offering. Advertisers will also be able to track view count and views by percentage of completion. LinkedIn plans to update its campaign reporting with more video-specific metrics in the coming months. Currently, LinkedIn is trialling sponsored video with several hundred customers with plans to make it available to all marketers in the first half of next year. Vodafone has been testing this offering out as part of its B2B strategy. "Working with LinkedIn, we are able to make use of the in-depth member data to identify specific audiences, at scale, and target them with our video ads," Philippa Benos, enterprise lead at Vodafone UK said. "We’re looking forward to both seeing the results of this beta phase and incorporating more video content into our B2B marketing efforts over the next year."